Hamilton May presents a spacious apartment ideal for a single resident or a couple. It is located at the same level as the observation deck of the Palace of Culture and Science. Hamilton May offers the exclusive opportunity to lease an exceptional one-bed apartment with unobstructed views over Warsaw. On this page, Hamilton May Real Estate displays only the highest standard, most luxurious apartments and penthouses in central Warsaw currently listed in our rental offer. The general criteria for listing on this page is that the apartment is in a new investment or a fully renovated old building in a good location, generally on the top floor and with a large balcony or terrace. The building should be also be lift-serviced and have underground parking available. 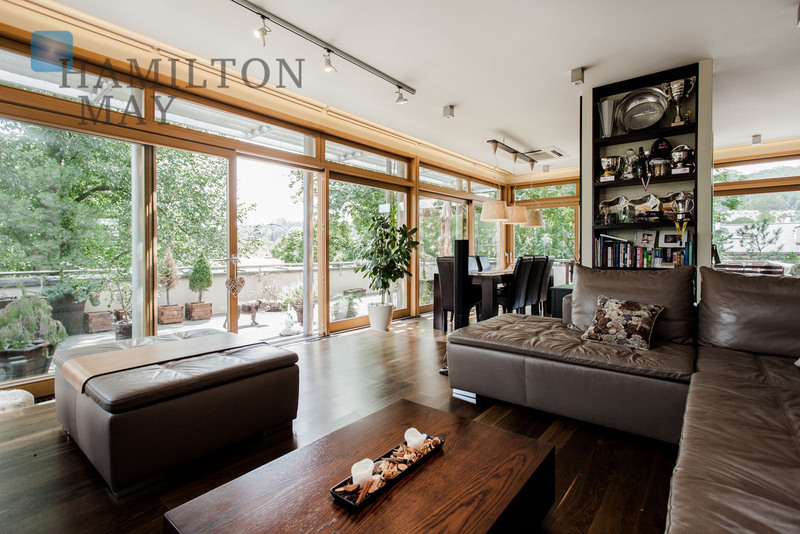 Hamilton May Real Estate is involved in the rental process of apartments located in the most prestigious new buildings and fully renovated tenement buildings in the most desirable areas of Warsaw.